A writer’s work can be like a mirror, reflecting aspects of his life that has an influence on his thoughts that even he may not realize. Is Stephen King an optimist? Is Richard Paul Evans an idealist? My answers to those questions would be no and yes, simply judging by what they’ve written. In looking over my own work, I’ve noticed some themes that appear again and again. Barbara Scott, an editor and online friend, in a tweet recently suggested looking for recurring themes in your own writing. So I did. The thread in Irregardless of Murder, I found, seemed to be reunion. My main character, Amelia, is in her forties, single and comfortable. 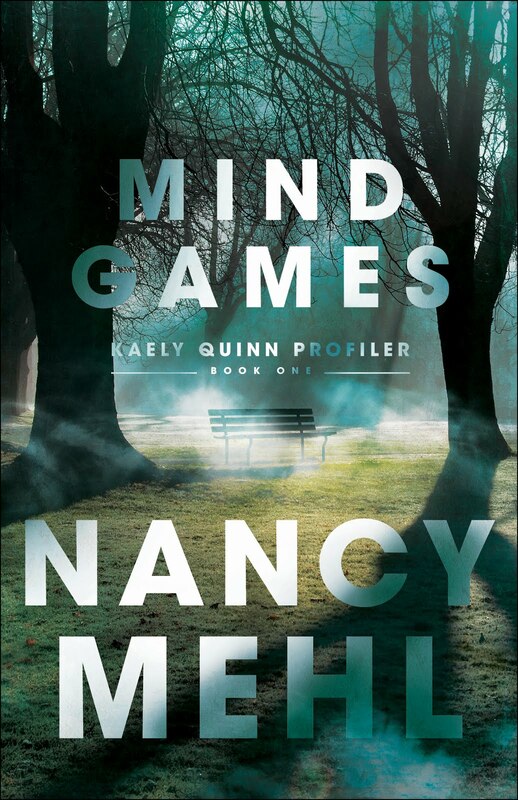 She likes things as they are, but when she literally stumbles over a murder, it starts a domino-like effect that ends in her tying up one really big loose end in her own life. In Death Dangles a Participle, I see reconciliation and forgiveness. Three young people, two boys and a girl, have messed up, big-time, and their road to recovery—if indeed there is one—is bumpy and loaded with potholes. The other people in their lives must decide if it’s worth the effort to repair the relationship. I also touch on the futility of revenge at the end. And, of course, there’s a murder that links all this together. I am, after all, a mystery writer. Another Think Coming isn’t part of the Miss Prentice series. 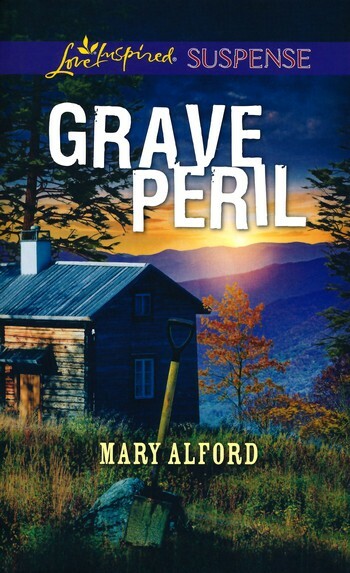 It’s set in a tiny town in Texas (that’s called alliteration, students) and is about God-fearing seventy-ish widow Esther MacBride who decides to exact justice from the man she holds responsible for her grandson’s death. Needless to say, she hasn’t consulted God about this, in fact, she declares herself “hopping mad” at Him. 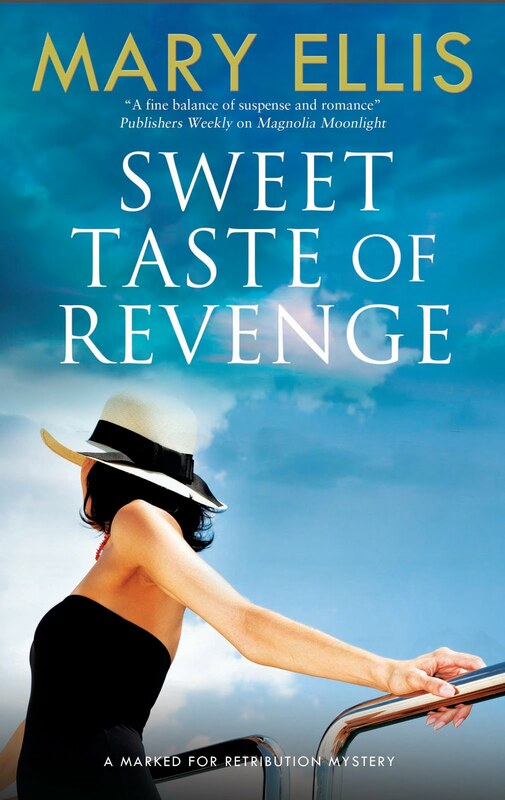 The theme in this one is again the futility of revenge and also forgiveness. The corrosive effect of revenge is also showcased in my current work-in-progress Murder in the Past Tense (#3 in the Miss Prentice series) which, if all goes well, should come out this Spring. When a murderer embraces hate and the idea of revenge for decades, it can only end in disaster. I’ve enjoyed going back in time with my character Amelia, getting to know her and her friends as teenagers. We even find out why sassy, glamorous Lily Burns started smoking: boys! There are the trivial things, too. One fellow writer pointed out to me that a store’s fitting room (euphemistic in the extreme—especially if you’re trying on a swimsuit!) appear in both Irregardless of Murder and my to-be published Texas novel, Another Think Coming. Until she said something, I hadn’t noticed this, and would probably have put a fitting room in another story, because they’re such handy places to eavesdrop! Another triviality I noticed myself was a propensity for resting one’s head against the cool window as the character rides in a car—or in another case, a bus. I like to do this myself (but only if I’m a passenger). I was asked in an interview why I chose to write about mysteries, and it caused me to search my reason: because I favor resolution. For instance, there is such a thing as a resolved chord, which I prefer in music. (You’d know it if you heard it.) I also prefer resolution in a story, that is, right wins out and wrong is defeated. All of my books end that way. Justice is done, even if there are some heart-wrenching moments along the way. I believe it’s part of the basic human condition to long for resolution and the ultimate resolution, the ultimate happy ending, is the one provided by God. Our earthly plot involved getting ourselves in such trouble that we could never be forgiven. We were scheduled to be punished. But a Hero stepped in and took the punishment for us. All we have to do is accept it. It’s what every soul longs for, resolution and a home to go to for our own happily ever after. This is a theme I can’t emphasize too much. Ellen Edwards Kennedy (aka EEK) grew up in far northern New York State and has lived with her husband and children across the South and West. 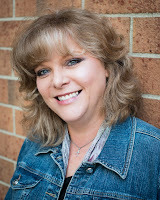 She's the author of IRREGARDLESS OF MURDER, the first in the new cozy mystery series. 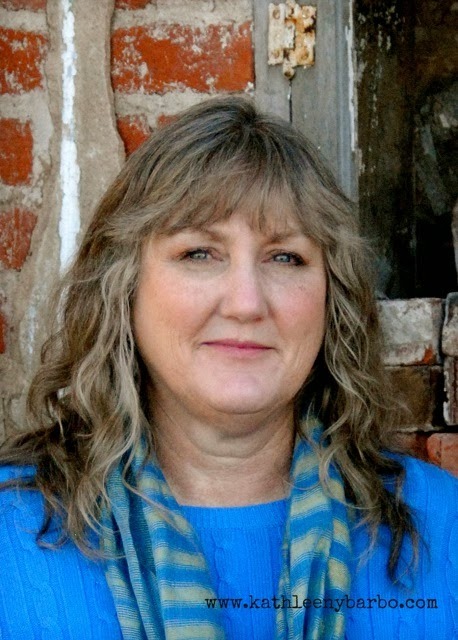 Along with the Miss Prentice Mysteries, she is the author of a Christian romance novella, "The Applesauce War," in the anthology, THE FARMER'S BRIDE, from Barbour Books. Book Two in the Miss Prentice series, DEATH DANGLES A PARTICIPLE, follows Amelia, Gil, Vern and Lily in the wintry North Country is available now at Amazon, B&N, CBD, and DeeperShopping in both e-book and paperback. Book three, MURDER IN THE PAST TENSE that introduces us to Amelia and friends as teenagers, is scheduled to be released Spring, 2014. 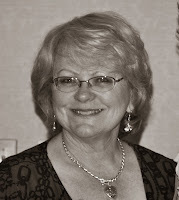 Ellen also writes weekly articles at The Wordsmith Journal Magazine under the title, "Behind the Mystery." Bestselling author Kathleen Y’Barbo is a multiple Carol Award and RITA nominee of fifty novels with almost two million copies of her books in print in the US and abroad. A tenth-generation Texan and certified family law paralegal, she has been nominated for a Career Achievement Award as well a Reader’s Choice Award and several Top Picks by Romantic Times magazine. 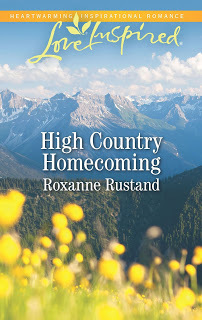 A member of Romance Writers of America, American Christian Fiction Writers, and a former member of the Texas Bar Association Paralegal Division, she is currently a proud military wife and an expatriate Texan cheering on her beloved Texas Aggies from north of the Red River. 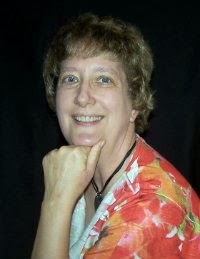 To find out more about Kathleen or connect with her through social media, check out her website at www.kathleenybarbo.com. S.S: How long have you been writing? I first admitted I was a writer in 1996 when I braved a trip to Office Max and purchased a word processor. S.S: Do you write full time? If the answer is no, what else do you do? If you are a full time author, what other jobs did you have in the past? Right now I am writing full time, but I am also a certified paralegal and have worked in the family law and criminal law fields as well as in records retention. S.S: Tell us about the moment you finally felt like a “real author”? Some days I still don’t feel that way. However, I think it was probably the day I finally attended a Romance Writers of America meeting in Houston. Suddenly I was surrounded by people who thought like I did. It was wonderful. S.S.: Who has been your greatest supporter as an author? Family and friends have been amazing. My husband, Robert, is my biggest fan. S.S: Do you write in any other genres? If so, what? I write historical romance and contemporary romance. S.S: How does your faith play into your writing? Knowing what my characters believe is essential to discovering who they are. In my writing, I always settle in my mind what sorts of issues of faith or belief the protagonist and villain has. Often those issues are taken from my own struggles. S.S: If you couldn’t write, what else would you want to do? S.S: Tell us about your current release. 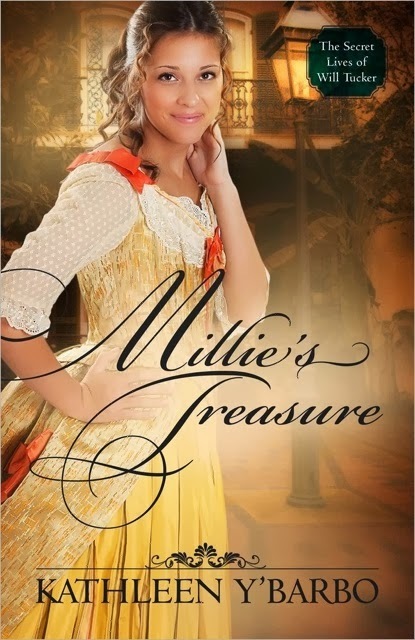 Millie’s Treasure, book 2 in The Secret Lives of Will Tucker series, is a Southern historical romantic suspense with a dash of steampunk. There’s the official description: Memphis 1890—Bookish heiress Millie Jean Cope is as clever as she is beautiful. Unfortunately, though adept at solving puzzles and cryptograms, she doesn’t realize her new fiancé isn’t who he claims to be, but instead is a charming scoundrel. The infamous Will Tucker is presenting himself as a British gentleman, Sir William Trueck, though in reality he is a crafty criminal looking for a hidden map to a secret treasure. S.S: Where did you get your inspiration for this book? Originally Millie's Treasure was not supposed to be written. When I proposed The Secret Lives of Will Tucker series to my publisher, the second book in the series was going to involve a man who knew the real Will Tucker and could point him out in a line-up, thus ending the charming criminal's career (or would it--LOL?). However, my editor fell in love with the secondary character in Flora's Wish and declared that inventive genius and fellow Louisiana Pinkerton Kyle Russell needed his own story. Giving Pinkerton Kyle Russell a background was easy as he had already made his appearance in the previous book. Like his friend and fellow Pinkerton Lucas McBride, Kyle was an inventor. Unlike Lucas, Kyle has a family populated with interesting New Orleans characters and a lovely home on Prytania Street in the Garden District. I chose that particular location for Kyle's after stumbling upon an article about Nicholas Cage's recent sale of a lovely home in the same neighborhood. However, what Kyle has that Mr. Cage did not is a secret third floor laboratory with a hidden elevator entrance. Think bat cave for scientists, nineteenth century style. Adding all the gadgets and inventions was so much fun, as was spicing things up by making both hero and heroine of this tale interested in solving puzzles and ciphers. I scoured the United States Patent Office register for interesting inventions that were patented within five years of the time when my character would have been testing his own versions in the field. That assured that while my guy might not have been the one to end up with the patent, at least he would be basing his knowledge and scientific work on materials and information that would have been available at the time. This gave the book a steampunk angle that I played from the first scene where Kyle and the lovely Millie escape the rooftop of the Memphis Cotton Exchange Building via a personal flying device that Kyle has been testing. Thankfully, it works just fine for two! And speaking of Millie, oh she was so much fun to create! Growing up on the Texas Gulf Coast, I was familiar with the legacy and legends of the pirate Jean Lafitte. From his exploits routing Spanish vessels in open waters to his penchant for pirating in coastal waters, Lafitte also was known as a hero of the Battle of New Orleans when he offered much needed gunpowder for muskets that were sorely lacking. Little is known for certain of what happened to the man after he sailed away from the island that later became known as Galveston, Texas as the strong request of the United States Navy. Some say he was killed in an encounter off the shores of Cuba and others say he lived to fight another day. I wondered what if...because that's what writers do. What if Lafitte had a daughter? And that daughter had a daughter? And oh, I don't want to give away the story but suffice it to say there are more puzzles to be solved than just the cipher of gold coins that hands around Millie's neck. One last bit of inspiration on this story. The character of Kyle Russell was named after the real Kyle Russell, an 18-year-old high school senior who is on track to set the world on fire (figuratively). He also happens to be my step-son. So now you know the rest of the story! S.S: What is the main thing you hope readers remember from your story? I want readers to remember that family ties are the strongest, and that no relationship is too far gone to salvage. God is the great fixer, of people, of situations, and of so much more. S.S: Who is your favorite character in this book and why? I love Millie. She’s the nerd I was only wrapped up in an elegant (mostly) and wealthy debutante package. Millie is smart, curious, and bold and I love that she takes risks to keep true to herself. And, without giving away the end, I also love that she’s got such a forgiving heart. Oh, and she does end up with a hunky Pinkerton man! S.S: Who is your least favorite character in this book? Why? I know I should say it is that villain Will Tucker, but I just can’t. For all the trouble he causes in books 1, 2 and 3 (yes 3), he isn’t my least favorite by any stretch. Honestly, my least favorite character is Millie’s father. As to why? Suffice it to say that any father who puts his own happiness above that of his child is a man I am not going to like. S.S: What are you working on now? I just edited my stepson’s senior thesis, but that’s probably not what you were looking to hear. Beyond that, I’m playing with several stories and trying to decide which one I like best. S.S: Any writing goals you still hope to achieve? I’d be lying if I said I didn't want to hit the NY Times bestseller list just once. Okay, maybe more than once. S.S: Now let’s get a little personal. Name two things on your “bucket list” that you haven’t done yet. S.S: What is the hardest thing you have ever done? Leave Texas and my grown children to move to Tulsa with my new husband. I still struggle on occasion with missing them, although they’re probably glad Mom is occupied elsewhere—LOL! S.S.: Where can readers find you on the internet? S.S.: Anything else you’d like to share with us? Thank you for hosting me! I have loved writing in my newly adopted romantic suspense genre, and I look forward to reading more of the fabulous books you have featured on this site. 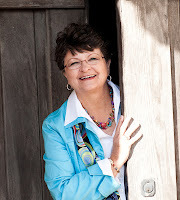 Leave a comment, along with your contact information, for a chance to win a copy of Kathleen's book, MILLIE'S TREASURE! “If God can bring an awesome dream to pass for this nobody-in-particular from nowhere special, He can do the same for you.” This is what I tell people at my speaking engagements. In fact, I autograph my debut novel, Reluctant Burglar, with the following words: Let your dreams soar! Mark 10:27. That scripture promises that nothing is impossible with God. Many times my dream to become a published novelist looked unattainable, and I gave up on it. But the dream kept resurrecting, and then one fine day I got that first contract! Obviously, the journey wasn’t without struggle, nor did it happen overnight. Far from it. My dream was born when I was eleven years old, but my first book wasn’t published until I was 46. That’s quite a time lag. But the Lord used those years to hone me as a person and build my skills as a writer. As I also tell my audience at speaking engagements, I completed my first mystery novel in the 6th grade, but not a shred of the manuscript yet exists . . . and the world is grateful. In high school, I had my own column in the school newspaper, and I even placed in a poetry contest. However, those few pieces I sent out to publications in the wider world came back rejected. My parents encouraged and believed in me, especially my dad, so off I went to college, seeking a degree in literature and creative writing. Then my dad passed away suddenly in my freshman year, and with him, a hefty chunk of my support base. Even so, I wrote for the college newspaper and managed to get a few pieces published in local periodicals. You’d think I’d be flying high, but instead I continually compared myself with other writers who I felt were more gifted and skilled than I. Perhaps they were, or maybe they were just farther along on the writing road. I received my degree then decided to take some time to look for what I could do with my training that would bring in a regular paycheck. Freelancing or novel-writing just didn’t seem possible. During that period, I met and married my husband. We soon had four children, and there was no time to write. I’m so thankful for my husband and children. Those years were often hard, but something great was happening inside as I drew closer to the Lord through my constant need for wisdom to raise and care for my family. My confidence in what He could do through me was growing. I was no longer my own source. How foolish we can be that way when we’re young! At last, around the turn of the century, the children were becoming more independent of me, and the embers of my dream to write books whooshed to life as if the Holy Spirit Himself had blown upon them. (I think He did.) I churned out one manuscript then another and another. Then in 2005, the contract came. Dream fulfilled! An ending, but also a beginning of a new phase of my life. Now I’m about to become eleven books into my career as a novelist. 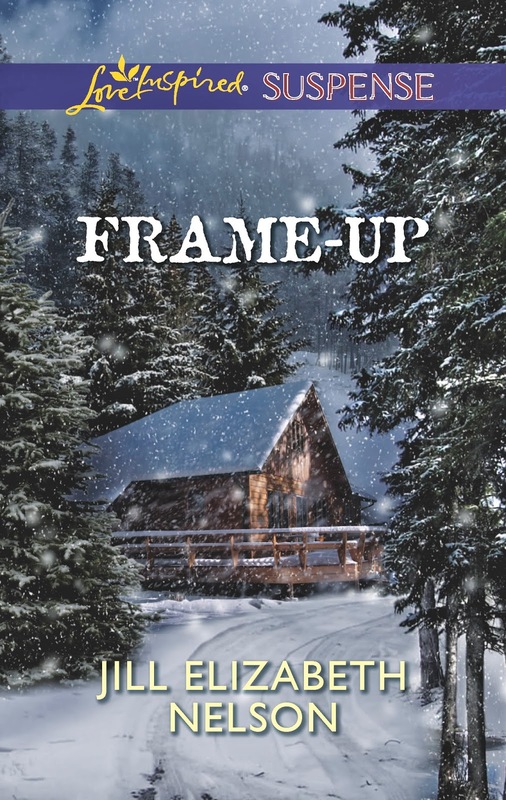 Frame Up releases in January from Love Inspired Romantic Suspense. I had great fun writing this story about a millionaire framed for murder and a single mom about to meet a similar fate. Is the same killer behind both frames? Enough about my novel-writing dream. I know the Lord has planted dreams in all of you, and He wants to bring those dreams to pass. For a chance to win a signed copy of my upcoming release, I invite you to share with us a dream of yours--either one that has come to pass or one yet to be fulfilled. My prayer is for you always to look up and never to give up. The best is yet to come! 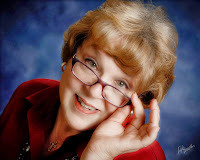 Award-winning author and writing teacher, Jill Elizabeth Nelson, writes what she likes to read—tales of adventure seasoned with romance, humor, and faith. 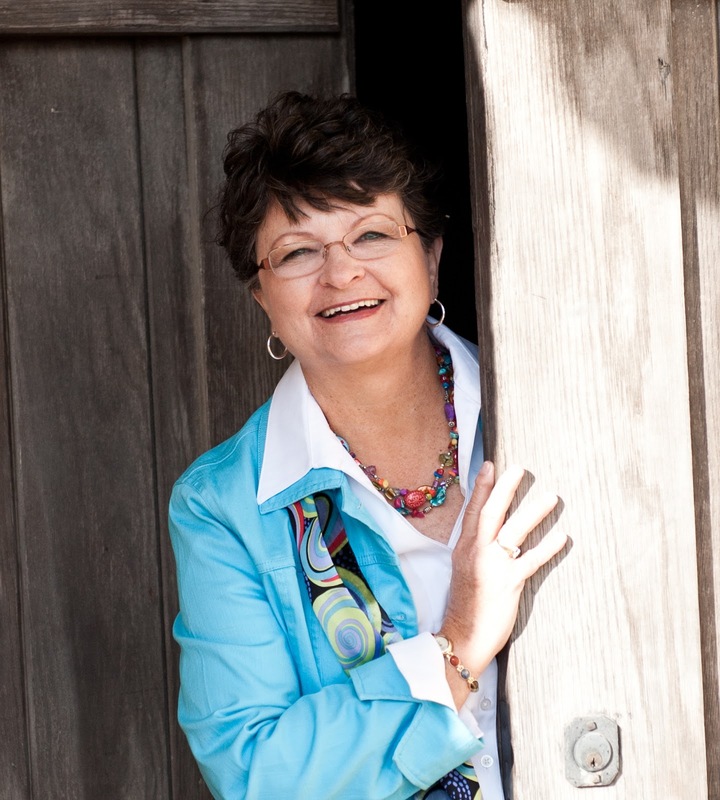 Jill is a popular speaker for conferences, writers groups, library associations, and civic and church groups. She delights to bring the “Ahah! Moment” to her students as they make new skills their own. Her handbook for writers, Rivet Your Readers with Deep Point of View, is now available at http://amzn.to/IvQTkj. Visit Jill on the web at: www.jillelizabethnelson.com or look her up on Facebook: https://www.facebook.com/JillElizabethNelson.Author or Twitter: https://twitter.com/#!/JillElizNelson. 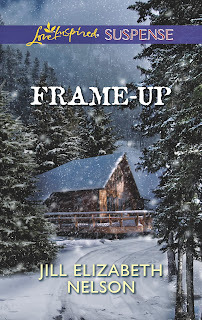 Her next release is Frame Up, coming in January 2014 from Love Inspired Suspense. I recently took a road trip with my husband. As we crossed the heartland, through the passenger window I watched combines harvesting wheat—an impressive scene. Amber waves of grain, and all that. I wish I would have stopped to take a picture of a decades-old, dilapidated barn alongside an equally aged windmill. Behind these structures, large scale megawatt windmills rose from the landscape for miles—a modern day windmill farm. And I wonder . . . when will the future overtake the past completely? When Gutenberg invented the printing press, the world was transformed. More books were printed and put in the hands of the population at large—you could call it the information highway of that time. We see that very thing happening before our eyes with digital technology. Nothing is changing faster than the publishing industry with the onset of digital media and eBooks. And suddenly, everyone and anyone can publish a book. Some things change and others stay the same. No matter how book publishing has changed, one thing stays the same—a book requires words and words require writers. The changes that have occurred in my lifetime alone are stunning. Who can begin to predict what we’ll see over the next decade or two. But no matter what new technology the future brings, if you self-publish your book it will likely be out there forever for all to read in digital format. So make it good. Learn your craft and produce the best product you can. You can’t expect the first, second or third book you write—as you’re learning the craft—to be seriously publishable. Even though you CAN publish your book, should you? Quality requires practiced skill developed over time. And that is something that will never change. Next time I'll talk about my upcoming release, Wilderness Peril. 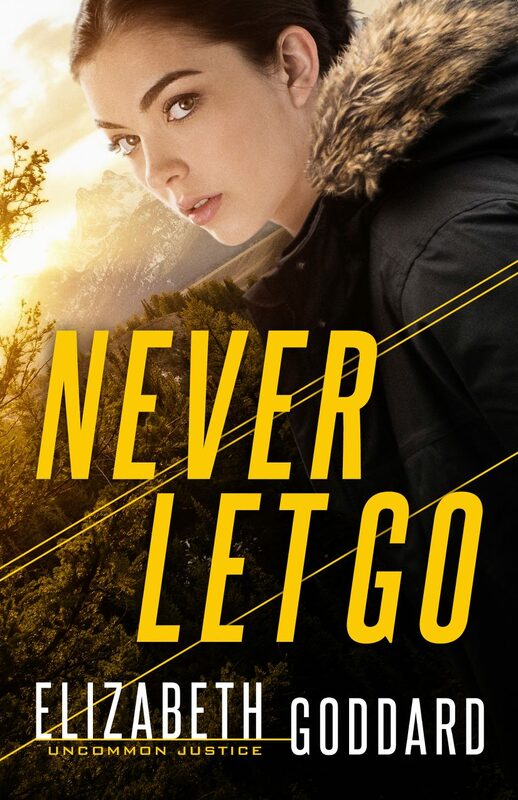 Run off the road and left for dead, Shay Ridiker's only hope for surviving the frozen claws of the wilderness is pilot Rick Savage. The beautiful airplane mechanic came to Alaska expecting a routine repo, but a missing coworker and a crippled plane are just the tip of the iceberg. Now held captive by ruthless killers at a derelict gold mine, Shay needs Rick's protection more than ever. But Rick has shadows that follow him into the land of the midnight sun. With gunmen at their backs, can he be all Shay needs—a haven…and a hero? 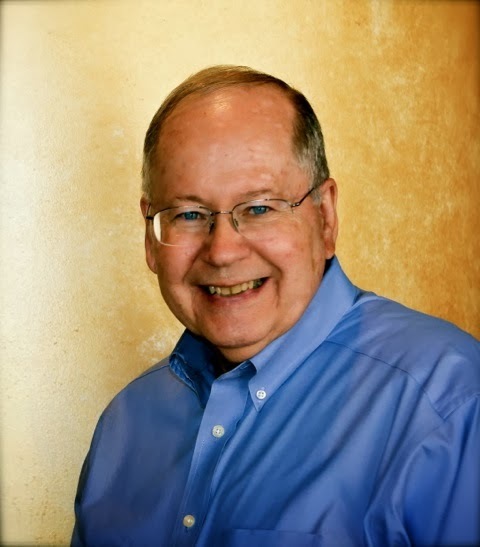 Dr. Richard Mabry is a retired physician, past Vice-President of the American Christian Fiction Writers, and the author of six published novels of medical suspense. His books have been finalists in competitions including ACFW’s Carol Award and Romantic Times’ Inspirational Book of the Year. His novel, Lethal Remedy, won a 2012 Selah Award from the Blue Ridge Mountain Christian Writers Conference. His medical thriller, Stress Test (Thomas Nelson), garnered rave reviews from Library Journal and Publisher’s Weekly. 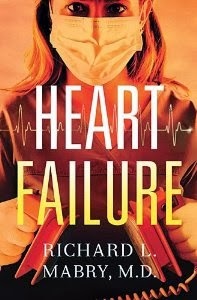 Richard’s latest novel, Heart Failure, released on October 15. What is the story line of Heart Failure? One of my first writing teachers (he said, looking pointedly at Gayle) taught me to draft a 25-word hook for all my novels. 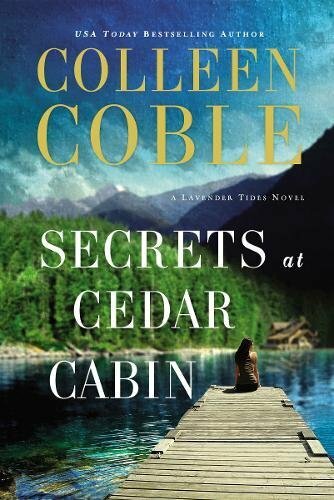 I think this is actually 27, but see if it piques your interest: When her fiancé’s dangerous secrets turn her world upside-down, a beautiful doctor must choose between her own safety and the man she loves—and thought she knew. Dr. Carrie Markham’s heart was broken by the death of her husband two years ago. Now, just as her medical practice is taking off, her fresh engagement to paralegal Adam Davidson seems almost too good to be true . . . until a drive-by shooting leaves Carrie hiding on the floor of his car with glass falling around her. When he confesses that Adam isn’t his real name and that he fled the witness protection program, Carrie is left with an impossible choice: should she abandon the fiancé she isn’t sure she really knows, or accept his claim of innocence and help him fight back against this faceless menace? What do you hope the reader will take from this book? Was there some incident that inspired you to write the book? What unique features did your own background add to the story? Like most of my novels, the inspiration for this one sprang from an everyday occurrence—I read a story about someone living under a different name in a different state to avoid retaliation from criminals against whom he testified. That set me wondering about the Witness Protection Program (which, I learned, is actually called Witness Security, or WitSec). Then I put the scenario into a medical setting (because that’s what I know and can write about with some authority). After that, it was just a matter of seeing where the characters would take the story. How are the heroine’s feelings and actions influenced by the death of her first husband? After it began to seem that she’d never remarry, Dr. Carrie Markham met Adam Davidson. He seemed to be the perfect man, and once more she gave her heart away. When she discovered that her new fiancé wasn’t who he seemed, she experienced subconscious guilt for what felt like turning her back on her first husband. Then, when she discovered that her new relationship with Adam was dangerous (and possibly fatal), her decision about what to do next became even more difficult. I know that you are a widower who has remarried. How much of Kay’s and your personal story is reflected in Carrie and Adam? There’s no question that my personal situation helped me write more authentically about Carrie’s feelings. If Adam seems to understand about Carrie’s hesitancy in moving on with her life after the loss of her husband, I learned that from Kay’s understanding and supportive manner as I worked past my own guilt at finding happiness after Cynthia’s death. Note: Richard Mabry’s book on grief and loss is The Tender Scar, Life After The Death Of A Spouse (Kregel, 2006). Are there other characters besides Adam and Carrie who make the plot move along? We meet quite a few. The reader is introduced to the two lawyers for whom Adam works, one of whom seems to be a no nonsense woman, the other a man just out of marriage number two (or was it three?) and looking for the next Ms. Right. There’s an EMT who can’t seem to put aside his crush on Dr. Markham. And there is the husband of a woman Dr. Markham wasn’t able to save, a man she thinks may be trying to exact revenge by killing her. After the release of Heart Failure, what is your next book? My third novel for Thomas Nelson, my seventh published novel of medical suspense overall, is scheduled for release in April of next year. It’s called Critical Condition, and details the struggles of a female surgeon who seems to be waging a personal war to save the life of every patient she sees, no matter how critically injured they may be. Where can our readers learn more about you? I have a website, and also post twice a week on my blog. I’m on Twitter and have a Facebook Fan Page. 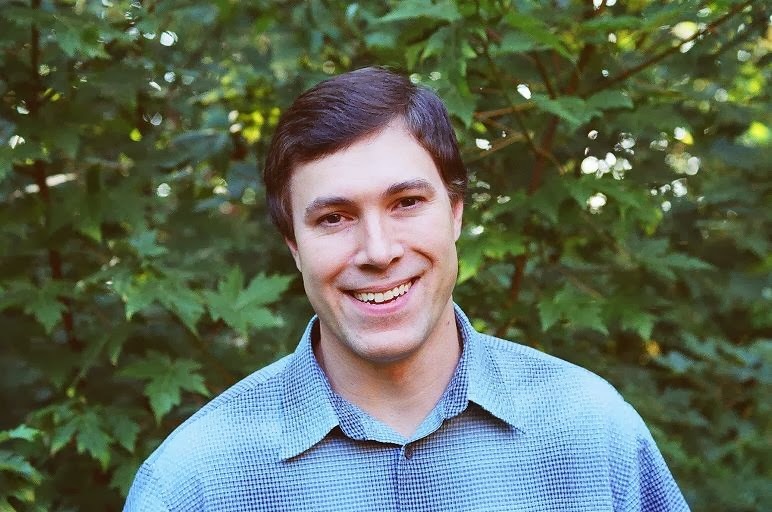 My publisher, Thomas Nelson, is offering a copy of Heart Failure to a randomly selected commenter (US only, please), so please do leave a comment after this interview. I’ll be checking back and responding to them. And if you don’t win, I still hope you’ll check out my novels. Thanks, Gayle, for this opportunity—and for all you taught me back in that mentoring class at Mount Hermon. I appreciate it. Today I sent off a final draft of new book proposal to my agent. I am excited, relieved and hopeful that it will sell, but I'm also very thankful. Thankful for all of the many friends who have helped me over the years. For the friend who looked this proposal over and offered suggestions. For all of those who offered support and advice. What would I have done without my friends over the years--and where would I be? I remember many years ago--1991, I think, when my dear friend Judy asked me out of the blue if I'd like to write human interest stories for her regional magazine. Writing? I hadn't given it a thought since my last grad school paper ten years earlier. But then she gave me their old computer, she and her very patient husband taught me how to use it, and a whole new world opened up. It was fun! Copy, paste, delete--what a joy after using a typewriter in college! 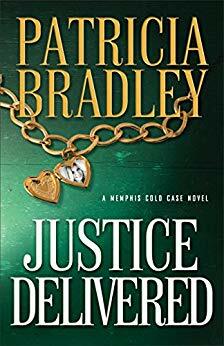 And then Judy introduced me to some excellent romance novels, and I became entranced with both the books, and the fun of dabbling with writing some fledgling fiction. Later I discovered inspirational novels, and felt like I'd really come home. When did you first discover inspirational fiction? Over the years, I've made many writing friends whom I treasure, and have learned so much at conferences and workshops. What a fascinating and fulfilling life this is, as a writer! Even after writing thirty books there always so much more to learn...as I just did this week from another dear friend and fellow author, Lyn Cote, who was able to see a lot of ways to strengthen the proposal I just sent off. I guess I'm offering my thanks well before Thanksgiving this year, for everyone who has enriched my life--for the fellow authors, and the wonderful readers, too! What things are you thankful for this fall? She lives in southeastern Pennsylvania. She enjoys reading, spending time at the family’s Canadian cottage, gardening, and eating out every time she can manage it. Did you know that the murderer in what is considered the first modern mystery was an orangutan? In Poe’s Murders in the Rue Morgue it wasn’t the butler; it was a large primate. Obviously today we could consider such a solution a major failure to the need for a satisfying ending. Over the years as mystery and suspense became sophisticated works of both literature and puzzle-solving, five rules or expectations evolved. Today we assume these five rules will be observed in any title we read. 1. The author will play fair. The author won’t spring any orangutans on us. He will treat us as intelligent. She will offer a work without overly easy or unrealistic solutions. 2. There will be a significant crime to solve. Usually in an adult crime novel this means murder. It is the ultimate offense, the one that takes from people that which is most valuable, life itself. Finding the culprit and seeing justice done comes to mean as much to the reader as to the characters. 3. The guilty party is among the characters. In other words the guilty party can’t be pulled out of a hat at the last page. He is an obvious player throughout the book though his means of committing the crime or his motive or opportunity may be hidden until the end. The bigger the surprise, the happier the reader. 4. There must be detection. Not only do readers like to figure out who the perpetrator is; they like to figure out why and how. It’s up to our hero or heroine to take the lead in the detecting necessary to resolve the unknowns, but our readers want to be at least keeping step in this process if not running ahead. Beating the lead character to the solution is one of suspense and mystery readers’ favorite pastimes. 5. All surprises must come from the universe of the story. No matter how big the surprise, the reader has to be able to look back and say, “I can see that now. It was all there.” Everything that transpires in the last couple of chapters has to have be built on a foundation laid long before the great reveal. In other words, no unknown bad guys popping up. I’d like to offer another rule to make a modern suspense or mystery engaging, and it’s give your characters personal problems both interior and external that make them worthy of our time and concern. Ed McBain brought people back to the 87th Precinct because of his detectives and their personal stories as much as because of the cases they solved. J.D. Robb keeps us reading her Death mysteries because of the complex lives of Dallas and Rourke. We follow Evanovich’s Stephanie Plum because of the humorous chaos of her life and those of her friends. Follow these six rules, and you will turn out a book that will keep your readers with you until that final page where they will sigh with a combination of satisfaction over a good read and sadness that the ride is over. INTERVIEW WITH KERRY NIETZ - AMISH VAMPIRES IN SPACE! In fits and starts, I have been writing most of my life. I didn’t get serious about it until fourteen years ago, though. My first book (non-fiction) was published in October of 2003, so this month marks a writing anniversary for me. Writing is my vocation, yes. Prior to that, I was a software developer, most recently at Microsoft. My wife and parents. My wife, because she encourages me through those times (typically during edits) when I want to chuck the whole thing. My parents are probably my biggest book distributors, though. If you know them, you are aware they have a son that writes, and probably have one of his books. My first published book was a non-fiction book entitled FoxTales. It is a memoir of my early years as a computer programmer. I got to participate in a remarkable time in software history, one where companies could start in a garage or hotel room and still become worldwide successes. I joined such a company, Fox Software, right out of college. My story has lots of twists and turns—lawsuits, buyouts, threats of bodily harm, flying books—miscellaneous mayhem. Sometimes I can’t believe I lived it. Or lived through it. Writing a novel is a faith walk for me. I start with a few scene ideas and a final destination. I work at it a little bit every weekday, trusting that God will give me the inspiration and knowledge I need when I need it. And He does. Often I’m surprised by what comes out, both while I’m writing, and later when I read it over. I find myself thinking: “Did I write this?” Proves to me that it wasn’t just me. It is beyond me. S.S: Tell us about Amish Vampires in Space. What led you to write it? About three years ago my publisher, Jeff Gerke, surprised the Marcher Lord Press authors with a mock cover he created. The title of the novel was Vein Pursuit, and it was part of the Amish Vampires in Space series. The cover featured a bonneted lady with fangs, a spaceship, and what appeared to be a rack of Amish hats. Jeff called it the ultimate Christian speculative novel. A sure bestseller! The image was great, and it became a running joke, especially at the writers’ conferences Jeff taught at. Years passed, and somewhere along the line I told him that someone—some MLP author—should write that Amish vampire novel. I didn’t think it was me, because the title screams “camp!” and I don’t usually do that. Plus I had a trilogy of my own to complete. More time passed. More books were published. But no one wrote that vampire book. Then last year I started thinking about how such a novel might work, minus the camp. The genre mishmash has lots of potential for conflict. The Amish are a structured people, governed by routine, rules, and tradition. But outer space is rarely structured, and vampires are chaos incarnate. Also, the Amish, practicing their interpretation of scripture, are non-violent. Pacifists. I got the beginning of a premise, and also, a possible theme. The characters started to arrive…soon I was thirty thousand words into it. I told Jeff what I was doing. After he stopped laughing, he encouraged me to continue. Ten months later I had a manuscript that was roughly 130,000 words long, incredibly fun to write, and generally camp-free. A solid science meets agrarian story, with a hematophagical twist. SS: There’s a lot of buzz about this story. Amish readers aren’t too sure about this mix of genres. What do you say to them? I’d say wait and see. Those that have read it—one of which is an accomplished Amish romance writer—have been positive and supportive. I think it really works. I hope they enjoy it, and are a little surprised. It is a novel featuring Amish, vampires, and outer space so you wouldn’t expect it to be too thought-provoking. But I think there are some real nuggets of truth in there. Things even I didn’t expect. S.S: Who is your favorite character in this book and why? It is the most character-rich book I’ve ever written, and I love them all. Even the scoundrels. One scoundrel always says exactly what is on his mind, regardless of the circumstances. Always shoots from the hip. In real life that sort of bluntness is rarely wise, but there is something appealing about writing such a character. You just unleash him on scene and see what happens. I don’t really have any. All the characters have a part to play, and in my mind, they all think they are doing exactly what they are supposed to do. S.S: Any other releases you want to talk about? The trilogy starts with A Star Curiously Singing. 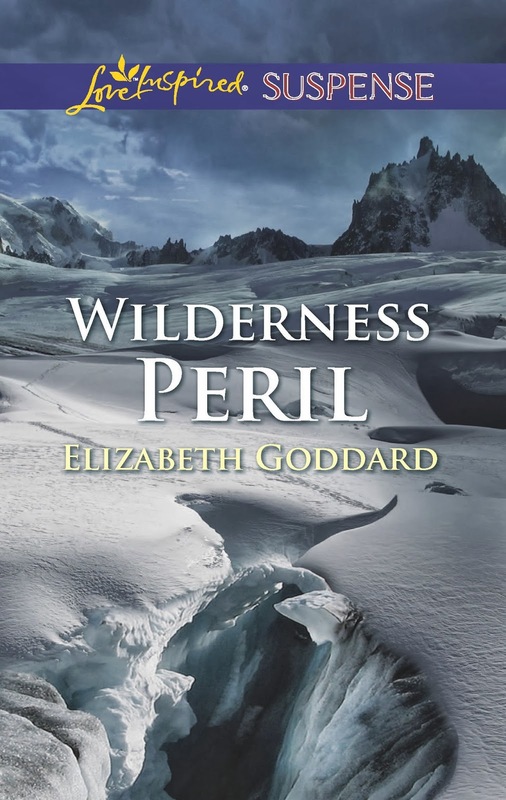 The third book in the series, Freeheads, won the Epic award this year, and was just named a medalist in the Readers Favorite award competition. What is neat there is that in both cases the book was entered in a mainstream science fiction (not Christian-specific) category, even though it is clearly a Christian book. This February my standalone sci-fi novel Mask was published. It takes place in the Pacific Northwest in the not-too-distant future where everything is decided by a vote. The main character, Radial, is a collector. If you get voted out of the city, he’s the one to come get you. When I was in my early twenties the company I worked for was sold to Microsoft. As a programmer, I had two options: I could leave everything and everyone I’d ever known (except the people I worked with) and move 2000 miles across the country, or resign my job and stay where I was…with no severance. It was traumatic. There were lots of unknowns, positives and negatives on both sides. In the end I made the move, but reaching that decision was hard. One of maybe four life altering decisions I had to make over the course of my life. Tough. I appreciate the opportunity to be here. I encourage your readers to check out Amish Vampires in Space, and all the novels of Marcher Lord Press. They’re lots of fun. Leave a comment, along with your contact information, for a chance to win a copy of Amish Vampires in Space!!! PUBLISHERS AND EDITORS. OH, MY!! !